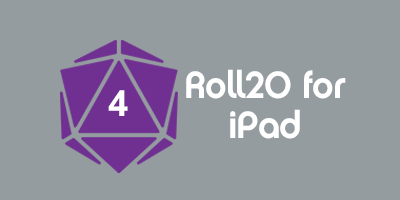 The following is a list of current community-created and official character sheets that are available to add to a Roll20 Game from either Game creation or on the Game Settings Page. See also the Sheet Requests page. This index of available character sheets are only ones officially approved by the Roll20 Team. This list should not include custom sheet entries that are not yet currently on the Roll20 Sheet Database and available to all users (Base, Plus, and Pro). To learn how to submit your custom sheet for inclusion in the Roll20 sheet database please see the Beginner's Guide to GitHub wiki page. We welcome sheet authors to edit/update this wiki page to compile links and info about their approved character sheet(s) here. We ask to keep your sheet listing information brief and to the point. If you have documentation, a changelog, Companion API Scripts, or anything else; we recommend to link to these items rather than attempting to list their content in entirety in this index. Blue Rose | Authors: Adalberto, Andrew R., Olivier L.-L.
Fantasy Age | Authors: Adalberto, Andrew R.
Titansgrave | Authors: Adalberto, Andrew R., Matt H.
7th Sea: 1st Edition | Authors: John W., with heavy influence from Niki K.
Aliens | Author: Garrett G.
Anime Campaign | Authors: Kitty aka Tina. The Bureau | Author: Martin F.
Atomic Highway | Author: John W.
Basic Roleplaying | Authors: Khoa P.
Classic Traveller | Author: gizmo m.
Naruto | Author: John W.
Doctor Who RPG | Author: Tony R.
3.5 Edition | Author: Diana P.
3.5 Edition (Chinese) | Authors: Diana P. Translated by RedMagic C.
Eclipse Phase | Author: John W.
The Fade | Author: Jeremy H.
Fallout 2.0 | Author: G. TI. Fallout 3.0 | Author: John W.
FASATrek | Authors: Russ and Tanya F.
Feng Shui | Author: John W.
Cyberpunk 2020 | Author: Tony R.
Fuzion | Author: John W.
Halo Mythic | Authors: Brandon E., Michal S., Neirin D.
Hc Svnt Dracones | Author: John W.
Iron Kingdoms | Authors: Chris H. & John W.
Ironclaw | Author: John W.
Knight (French) | Author: Alain H.
Marvel Superheroes | Author: Michael R.
Marvel Superheroes Adventure Game (Marvel Saga) | Author: Brian H.
Mongoose Traveller: 1st Edition | Author: John W.
Mongoose Traveller: 2nd Edition | Author: Fabian D.
Multiverse | Author: Jeremy H.
Mutant: Year Zero | Author: Ludvig L.
Palladium Megaverse | Author: John W.
Paranoia | Author: John W.
Q.U.A.R.T.S. | Author: Jeremy H.
Qin: Warring States | Author: Garrett G.
Risus Space Opera | Author: Alex T.
Rolemaster: Standard System | Author: Diana P.
RuneQuest: 6th Edition (Spanish) | Author: Néstor Ch. Shadows of Esteren | Author: Radek G.
Silhouette Core | Author: John W.
Spell: the RPG | Author: Layl B.
Stalker: SciFi Roleplaying Game | Author: Ludvig L.
Silent Legions | Author: Calle A.
Aberrant | Author: Chris F.
Adventure! | Author: John W.
Changeling: The Dreaming (CWOD) | Author: John W.
Demon: The Descent (nWoD) | Author: John W.
Demon: The Fallen (cWoD) | Authors: Bryan Axlesen, Matt Zaldivar (V20 template), Brian Shields and Benjamin Bandelow (Exalted code). Scion | Author: John W.
Vampire: The Requiem (nWoD) | Author: John W.
Werewolf: The Apocalypse 20th Anniversary Edition (cWoD) | Author: John W.
Werewolf: The Forsaken (nWoD) | Author: John W.
Technoir | Author: John W.
Tephra | Author: John W.
Tri-Stat | Author: John W.
Unknown Armies: 3rd Editionn | Author: Kevin J.
Victoriana 2nd Edition | Author: John W.
Black Crusade | Authors: John B., Daniel D.
Dark Heresy: 1st Edition | Author: Daniel D.
Deathwatch | Author: Daniel D., based on work of John W.
Only War | Authors: Daniel D., based on work of John W., Updated by Michael R.
Rogue Trader | Authors: Michal S., Neirin D.
This page was last modified on 14 April 2019, at 20:16. This page has been accessed 62,642 times.